It’s mid summer and camping season is in fill force here. There is nothing more frustrating than trying to get the campfire started and smoking out everyone when you try and burn paper or cardboard. So next time try these super easy DIY fire starters. Take the egg carton and cut off the top and flap. 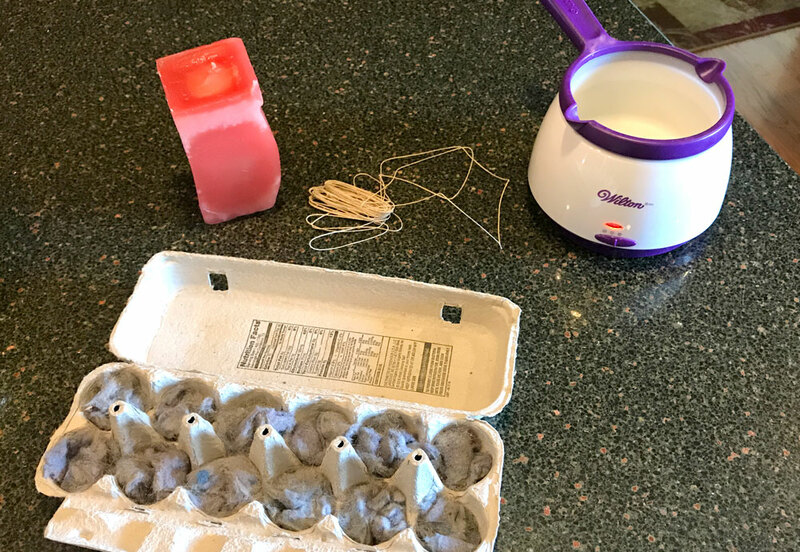 Put dryer lint in all the egg holders and then fill with melted wax. You can use old candles or grab a block of wax from a craft store or Amazon. 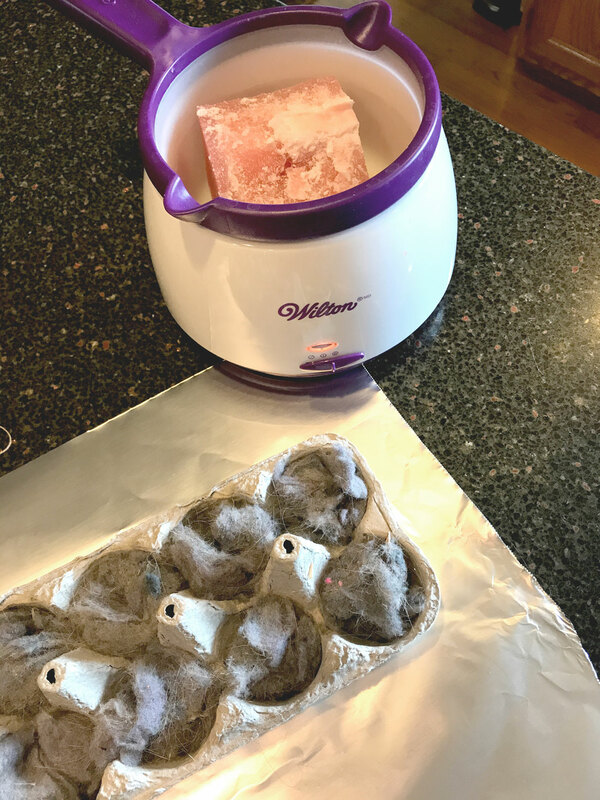 To melt the wax you can use a double boiler or I use this handy little wax/candy melter from Wilton. It’s great if you are doing a lot of crafts. 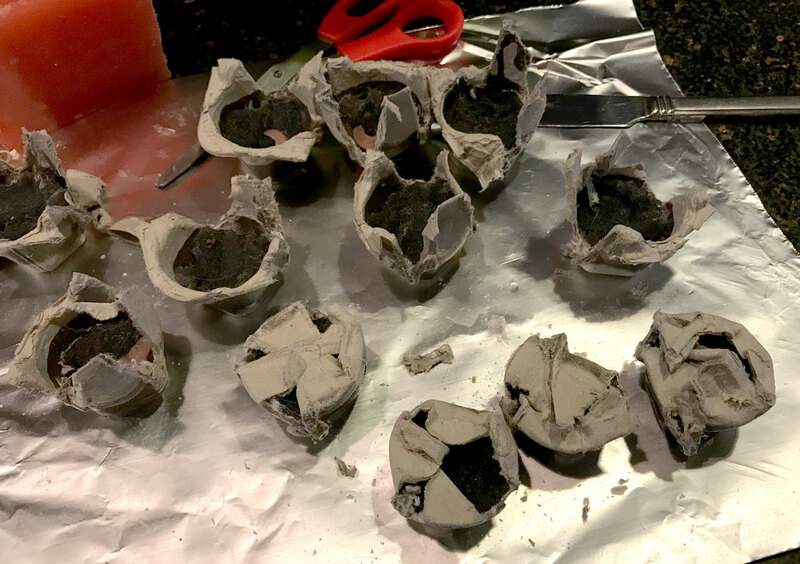 I placed a piece of tinfoil underneath the egg carton just in case the wax soaked through (which it did in a few spots). Once you have poured in the wax let it harden and then cut the cups apart. You can use them as is or do the next step and make them super cute. 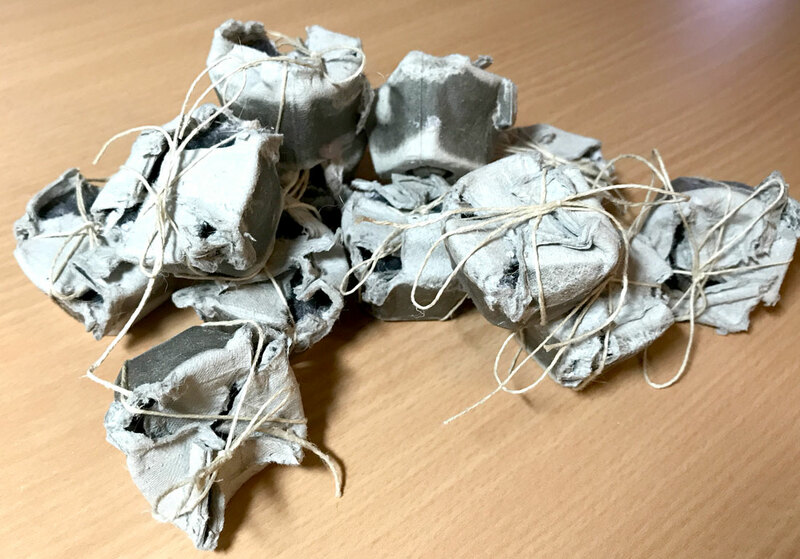 I folded over the corners of the egg carton and tied them with some twine. It gives you a great place to lite the starter and it makes them look so cute! These would also make great great little gifts for all your camping friends or those with fire places in their back yard!